Promote our products and earn 20% for each sale (see regulation below). To register fill in the form below. If you are already an affiliate, go directly to Affiliate login. Affiliates are committed to promote sales of the products sold in this site in exchange for a fee calculated on the retail cost of each successful purchase by every user landed on the site via their promotional link code. Organizers undertake to pay to the affiliate a 20% commission on the sale price of each registration or product made within 90 days from the date of the last access to this site by users who have used the affiliate link or coupon code provided at the time of subscription of the program. We are using the best technologies available on the market to trace users and the tracking system uses also the IP number of purchasers to identify them, but we cannot ensure the identification of 100% of affiliates conversions (as well as all affiliate systems). ADworld Experience organizers reserve the right to refuse access to the affiliate program and to cancel affiliates accounts at any time, regardless the access to affiliate area and the earning of any commissions if the violate one of their obligations. 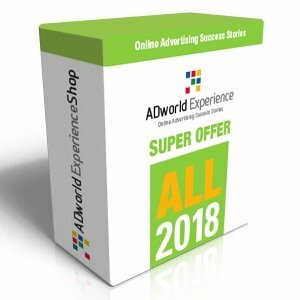 The purchase is considered successful and the fee awarded when the buyer has made regular payment of the amount due to ADworld Experience, and does not request to cancel the order. All fees awarded for purchases performed directly or indirectly by the affiliate itself will be excluded. Earned fees will be paid to the achievement of at least 100 Euro credit, or monthly, upon presentation of a regular invoice issued by the Affiliate. This agreement lasts one year and is intended to be finalized with the opening of the affiliation account and the communication of the affiliate link. In the absence of communication to the contrary, shall be extended automatically and indefinitely for a similar period of time. 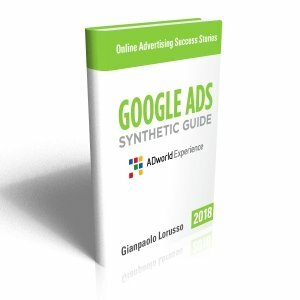 To terminate the affiliate program you will need to give written notice to ADworld Experience staff. ADworld Experience is using the best technologies of automatic tracking of sales and is committed to their maintenance with the utmost care, but can not be held responsible for any failure due to technical problems beyond his control. For all disputes arising in relation to this affiliation agreement will be the competent court of Forlì (Italy).